Meg brings a wide array of experience working with both nongovernmental and governmental organizations on water issues to The Freshwater Trust. She spent two terms as an Americorps member and has worked with the National Park Service and the Colorado Water Conservation Board. Meg aided in the creation of Colorado’s first state water plan. She holds a bachelor’s degree in psychology and political science from Haverford College in Pennsylvania and a Master’s of Public Administration with a concentration in environmental policy, management and law from the University of Colorado. As a Restoration Project Manager and Analyst, Meg coordinates program funding for water transactions as part of the Columbia Basin Water Transactions Program, manages partner relationships, and integrates and supports flow restoration work across the organization. 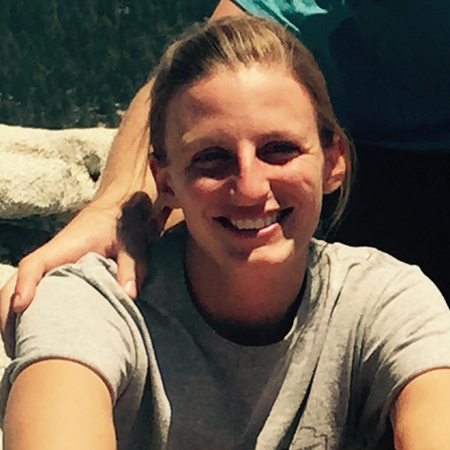 Outside the office, Meg enjoys hiking, and playing ultimate frisbee with her husband and dogs.